← Enough With The Early Round Champagne Celebrations MLB! 2012 ALCS Preview: Detroit Tigers vs. New York Yankees: Can the Yanks Survive the Loss of Jeter? Jake Dal Porto: The Yankees’ offense is limping into the series, while Detroit is riding Justin Verlander’s arm high. Both were expected to be in this position when the season began, but their journeys were vastly different. Who will prevail in a series which won’t be lacking for ageless headlines and drama? The Tigers and Yankees each heavily rely on one guy on their respective rotations. And it’s quite clear who those two guys are. But just for reference, we’ll make it known. The Tigers ride Justin Verlander, while the Yankees put a lot of faith in their 33 year-old veteran left-hander, C.C. Sabathia. There’s that. It’s clear that neither of these teams would be where they are without their two aces. Verlander carved up the A’s in Game 5 on the ALDS to punch Detroit’s ticket to the ALCS with a complete game shutout, and Sabathia sliced and diced the Orioles’ lineup in Game 5, allowing just one run en route to a complete game gem of his own. 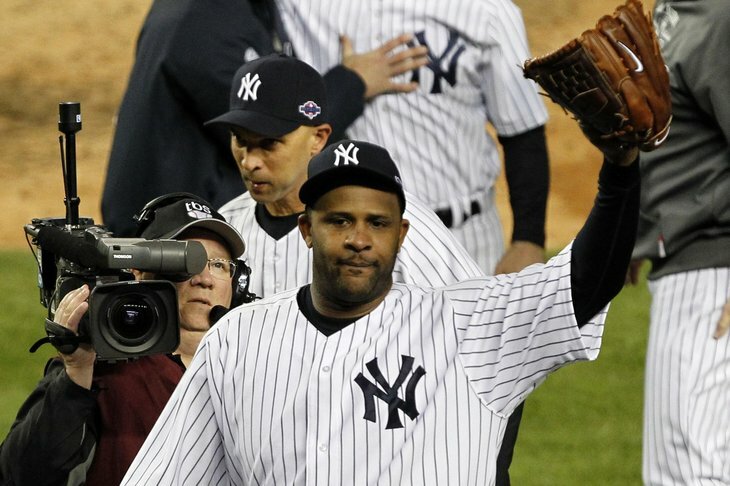 Think back to their 8th inning of Game 5 and how Sabathia escaped trouble. That is a true ace. Therefore, guys other than Verlander and Sabathia will provide the separation. Realistically, it could be anyone at this point. Neither the Tigers or Yankees have a stellar number two that’s consistent. The Yankees‘ presumable number two in Andy Pettitte was a bit wobbly in Game 1 of the ALCS, surrendering two runs on seven hits over 6.2 innings. Hiroki Kuroda is another candidate to be a difference maker, as is the home run happy Phil Hughes, who slated to pitch game three. Your best guess is as good as mine. The Tigers have a bit more consistency and talent in terms of their alternatives to Verlander. Doug Fister is incredible when he’s on his game. Anibal Sanchez, who was acquired in a trade, gave up two runs to the A’s in his lone ALDS start, and Max Scherzer held Oakland to no runs in 5.1 innings in his only ALDS start. Overall, Detroit’s starting pitching was very solid in the division series. What wasn’t so strong was their bullpen. The centerpiece of all concerns for the Tigers has been Jose Valverde. His most recent collapse was in game one of the ALCS against the Yankees when he allowed New York to tie the game with four runs off him in the ninth inning. But frankly, his collapse on Saturday night was written on the wall considering that he blew a lead against the A’s as well. Now, so far in the 2012 playoffs, he has an inflated 27.00 ERA. Does that really sound like the closer that didn’t blow save last year? From there, you have Joaquin Beniot, Phil Coke, Octavio Dotel, Drew Smyly and the ball-kissing Al Alburquerque. Nice depth- but at this point, very uncertain as to who will pitch the 8th and 9th on most nights. Smyly did his job and then some last night. But he is still too young and inexperienced to be relied upon consistently. The Yankees’ bullpen has been solid. In fact, it’s probably been their strongest weapon with their offense struggling. David Robertson and Rafael Soriano have been the undeniable best options out of the bullpen. Both of them have yet to allow a run in 7.2 innings combined. When was the last time Mariano Rivera wasn’t on the mound to close the game out for the pinstripes? A long time, yet luckily for New York, his absence hasn’t been much of a problem. Add in Boone Logan, Clay Rapada and the rest of the Yankees pen. On most nights, this pen should get the job done. Seeking a breakout game, the Yankees hit a rough patch against Baltimore, scoring just 16 runs over the five game series. And just for clarification, that’s not Yankee like by any stretch of the imagination. Robinson Cano, Curtis Granderson, Nick Swisher, and Alex Rodriguez are all to blame for their offensive woes. Luckily for Cano, Granderson, and Swisher, Rodriguez is taking the majority of the heat given his extremely pricey contract, and lack of production this year. Basically, he’s bailing them out. Raul Ibanez is also bailing them out, hitting three home runs so far in the postseason. Nevertheless, New York’s offense has an array of weapons that they can beat opposing teams with. But their toolbox is slim right now. Plus, they will be without Derek Jeter for the remainder of the playoffs. Jeter was carried off the field during Game 1 on Saturday in the 12th inning. After the game, Joe Girardi said that his shortstop fractured his ankle. Now would really be a good time for Rodriguez to breakout, don’t you think? Detroit’s offense will go as far as Austin Jackson takes them. Sure, Miguel Cabrera is clearly their best hitter, but he’s not going to see much to hit if his supporting cast doesn’t do their jobs. And if that’s the case, then the Tigers are going to have problems. 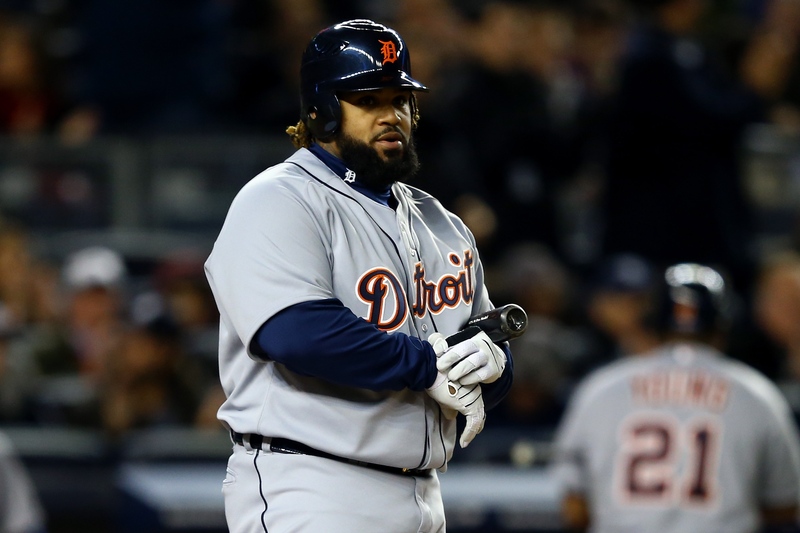 Prince Fielder came though with an RBI single following Cabrera’s intentional walk. So, so far so good in the supporting Cabrera department. Now, they will just need to keep supporting their best hitter. As always, that’s much easier said than done. It would be nice for Detroit if hitters like Delmon Young could come up big on most nights. Delmon in particular was huge in Game one, going 3 for 6, with a home run and 3 RBIs (including the game winner). But on most nights, it will be Cabrera, Fielder, Jackson and a prayer for Detroit. Posted on October 14, 2012, in Playoffs and tagged ALCS 2012, alex rodriguez, andy pettitte, anibal sanchez, austin jackson, baseball, cc sabathia, curtis granderson, david robertson, derek jeter, hiroki kuroda, jose valverde, justin verlander, mariano rivera, max scherzer, miguel cabrera, mlb, nick swisher, phil hughes, playoffs, prince fielder, rafael soriano, raul ibanez, robinson cano. Bookmark the permalink. 1 Comment.